For my first day at Comic-Con I had to try out a new cosplay of mine - Copycat! 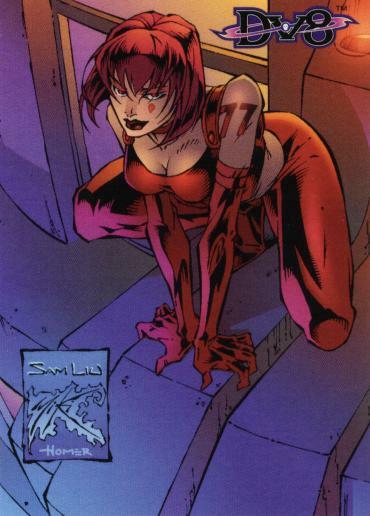 She's a comic book character, kinda a bad guy but not really evil... but definitely crazy! I liked how unstable she was and always wanted to cosplay her uber red look and I finally got my chance! You may be able to tell I made my costume myself by sewing together two red sports bras and making adjustments to a pair of matching leggings. It's not exactly high end, but it's so much fun for me to make these cosplays - I just need more reasons to get all decked out!